A recent study showed that even when on vacation, Americans still spend more time on their cell phones than they do in the water. 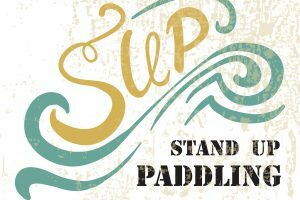 Paddleboarding is a fun, family-friendly activity that can help to change all that. But many think paddleboards are heavy, expensive, and a headache to cart around. The solution? An inflatable paddle board! Here, we’re sharing the top 10 reasons why you need to pick up an inflatable paddle board today. You do a lot on vacation, so should your inflatable paddle board. These awesome tools can also serve as beds, as “wagons” to cart around especially heavy gear (or tired kids!). It can even serve as a table. Especially when you’re going on a serious journey and adventure, you need to make sure that everything you’re bringing serves more than just one purpose. Whether you’re traveling alone or with your family, we know that safety is likely your number one priority. Hard boards are wonderful and safe options, but especially for beginners. An inflatable option lessens the likelihood of an accident. If you get hit, or if you accidentally hit someone, the risk of serious injury will be a lot lower than with a harder board. 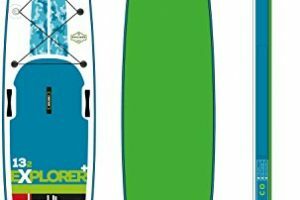 If you’re planning on doing a lot of walking, or if you’re traveling to several destinations and will need to carry your board in and out of your vehicle fairly frequently, inflatable paddle boards are a lighter option. Because they deflate, you can easily roll them right up and carry them on your back. Let’s be real: if you’re an animal lover, no matter what kind of choice or purchase you’re making, how it affects or benefits your animals is an important factor to you. You may have seen YouTube videos of dogs riding on paddle boards, and you likely want to see if your own pet is interested in joining the fun. Because they’re less slippery than hard paddle boards, inflatable paddle boards offer better stability and balance to your pets. Plus, you won’t have to worry about the board getting scratched up – that’s not possible with an inflatable! Whether you’re traveling with your board or are just trying to find space for it in your garage during the winter months, we know you’re concerned about how much space anything you buy is going to take up in your house. Since they can be deflated, inflatable paddle boards can pretty much fit anywhere. You won’t need storage racks or racks for the top of your car. These are awesome paddle board options for people who live in apartments or a shared space. Inflatable paddle boards aren’t just a great option for the lake or beach trip you’ve got coming up. If you’re into all things whitewater, take your inflatable along on your next adventure! Why? Inflatables are way more resistant to the curveballs that white water can often throw your way – things like rocks, twigs, and sometimes a few critters that live in or nearby the water! You won’t need to worry about how your board is being scratched and damage, so you can focus on keeping your balance in these tougher waters! 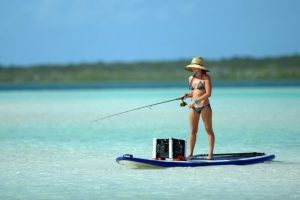 Airport security is already a headache – don’t let the trauma of having to lug your paddle board through checkpoint after checkpoint ruin your vacation before you even get to your destination. Instead, go with the more travel-friendly option of the inflatable paddle board. 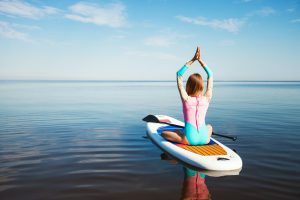 First of all, depending on your flight time, destination, and airline carrier, hard paddle boards may not even be allowed on planes, or may not be able to be checked. If you’re the type who feels like they’ve failed if they’ve checked even a single bag, this is a great option for making sure that all you need for your trip easily fits into your carry-on luggage. Since inflatables are so lightweight, they won’t take up much space or weight in your luggage. Don’t end up having to check your paddle board at the gate, or worse, having to leave it at home. Go with an inflatable option instead. 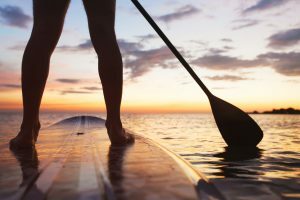 Especially if you’re navigating around tight curves or needing to move a little faster, inflatable paddle boards aren’t quite as rigid as their hard counterparts. Not only does this add more safety to your experience (even if the board falls on top of you or someone else!) it’s also a great option for those of us who have a little competitive drive. 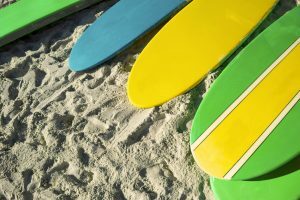 Whether you’re moving away from the beach, or just want to upgrade to another kind of board, inflatable paddle boards are tougher, and therefore have a higher resale value than their harder counterparts. Plus, since they’re a bit stronger, they’ll also last for longer: another great point to make when you’re reselling your board. Especially if you’re just learning how to paddle board, you need something that can really take a beating. Whether you fall a lot, live in an area where the weather can change on a dime, or just like choppy waters, an inflatable is a great option. Plus, if you like to use your board to get your workout in, you won’t have to worry about scratching up the board. Its stability is great for poses, pilates, and everything in between. Make sure you read up on the best advice out there when you’re starting to learn how to paddleboard – and even if you’re an old pro. Can’t Wait To Get Your Inflatable Paddle Board? We Can Help! In addition to helping you lose weight, exercise can also help to boost your mood. 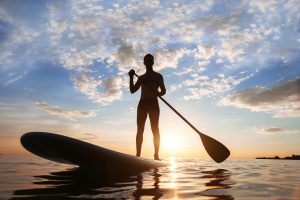 Whether you’re heading to the water on vacation or already live by the sea, getting a paddle board doesn’t just offer health benefits, it’s good for making memories as well. 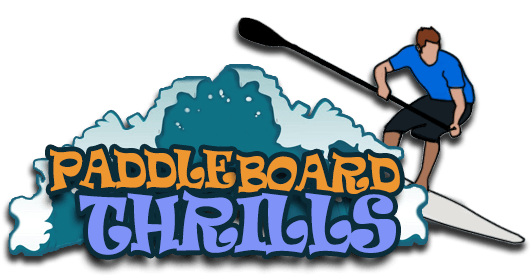 To find out where you can find your own inflatable paddle board and to learn more about the awesome paddle boarding adventures awaiting you in the future, check out our website and blog. Feel free to also get in touch with us!